This is our one-hundrenth episode! We are so excited to bring you this episode, not only because our listeners are fantastic and made this possible, but because we also get to answer your questions. This is our second "Ask Me Anything" session. You submitted the questions and we answered. 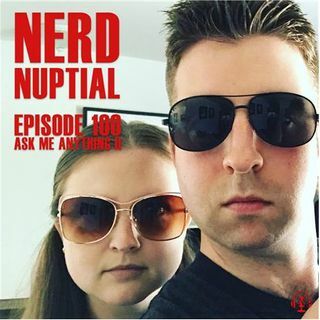 We talk about many things including how life has changed now that we're parents, what our ... See More "nerd-cation" would be, and what challenges our marriage has faced. We start the episode with our reactions to Arrested Development Season 5 and The Unbreakable Kimmy Schmidt Season 4.